Baldwin, the longest town on Long Island is a hamlet in Hempstead, Nassau County, NY. With a wide variety of homes from older colonials and Tudors to ranches and split levels, this charming South Shore community has it all. A quick commute to Manhattan yet minutes from Baldwin Harbor waterfront, a strong school district, and a middle-class family friendly atmosphere with growing diversity make Baldwin, NY an attractive place to settle. Looking For Eye Care And Eye Wear In Baldwin, Long Island? Diamond Vision is conveniently located about 5 minutes away. Our wonderful Long Island eye doctor offers comprehensive eye care services, including routine eye exams and eye disease diagnosis and treatment. We specialize in contact lens fittings and more. So, if you need an eye exam in Baldwin, NY book one today. Our expansive selection of eyewear near Baldwin attracts many clients, and when they experience the courteous and helpful service here, they keep coming back to our top of the line vision center. Dr. Galan is a thorough and caring optometrist who explains everything clearly. We treat patients of all ages including kids and carry a huge selection of contact lenses and eyeglasses with brand name frames. So, once you’re coming to our vision clinic, why not bring your whole family for eye exams near Baldwin? Our friendly staff would be happy to schedule your eye doctors’ appointments as a group. For more information about us and the vision services and eyewear products we offer, please feel free to browse the Diamond Vision website. Did you know that the best eye doctor in the Baldwin, New York area is just around the corner? Well, it’s true! Diamond Vision and our incredible optometrist, Dr. Shane Galan near Baldwin, New York are your premiere eye clinic for eyecare services including comprehensive eye exams for adults and children, co-management of laser vision correction surgery, and screenings for serious eye conditions such as glaucoma, cataracts and macular degeneration. Dr. Galan is one of the premiere optometrists serving the Baldwin area and is number one in service and expertise. Dr. Galan is a specialist in contact lenses and low vision, and fits all types of contact lenses including soft lenses for astigmatism and bifocal contact lenses, as well as rigid gas permeable lenses. Because of his specialization in low vision, Dr.Galan is also able to work with stronger eyeglass prescriptions and magnifying devices that many other practices are unfamiliar with. These special low vision devices enable patients to be more independent than ever before, allowing low vision patients to read books or write e-mails or letters without further assistance. Dr. Galan also has a therapeutic license, which enables him to prescribe eye medications. Diamond Vision uses cutting-edge eyecare technology to more accurately evaluate every aspect of eye and vision health. We use the latest technology, from retinal imaging to visual field testing, and beyond. Staying ahead of the curve with these technologies helps your eye doctor get a comprehensive picture of your total eye health, for improved treatment in all aspects of your eye care. 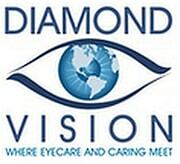 Diamond Vision provides regular comprehensive eye exams for the Baldwin area. These are an essential part of continued eye health, and are important for people of all ages and genders. One of the most important factors in maintaining long term eye and visual health is early detection and prevention of sight-threatening eye conditions. During a comprehensive eye exam, Dr. Galan does more than determine your eyeglasses prescription, by also analyzing your medical history and overall health to evaluate your risk for common eye diseases like glaucoma and macular degeneration. He also evaluates your eyes for indications of other serious illnesses that extend beyond your eyes such as diabetes. Dr. Galan also offers free evaluation of your eyes in order to help determine if LASIK, PRK or Cataract Refractive Technology is an appropriate solution for your eyecare needs. If he determines with you that vision correction surgery is a good fit for you, Dr. Galan will help you move forward through the process of having your vision corrected. Dr. Galan specializes in co-management before and after Lasik and other vision correction procedures and will be there to walk you through the process from beginning to end. 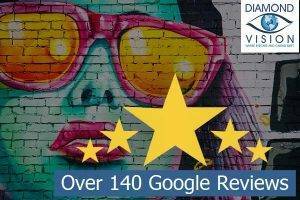 To experience our superior service, and the best eye doctor in the Baldwin area, come see us at Diamond Vision today.